Click the link below to read the feature of Phytonix in the Nature Journal’s Biotechnology Edition. Phytonix Corporation’s Founder and CEO, Bruce Dannenberg, is the lead author for Chapter 21 “Phytonix: Cyanobacteria for Biobased Production Using CO2”. The following is an overview of what the chapter entails. Phytonix’s photobiological process uses carbon dioxide as the sole, nonbiomass feedstock and along with solar energy and water produces the desired biofuel/chemical with only oxygen and residual biomass as by‐products. 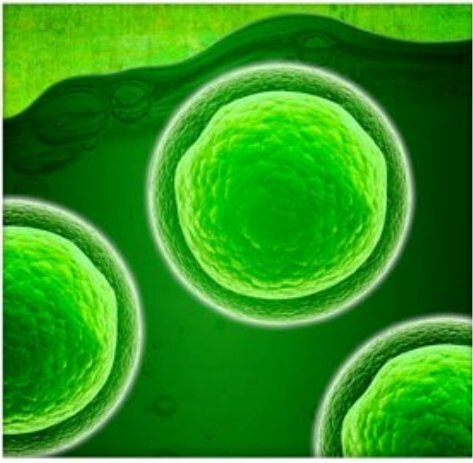 The Phytonix technology/IP essentially takes the key genetic code/genes for a butanol synthesis pathway from nonphotosynthetic organisms and engineers them into the genome of a photosynthetic cyanobacteria. Thus, this enables butanol to be generated via a photosynthetic/photobiological engine, using carbon dioxide as the sole feedstock/carbon source. The Phytonix photosynthetic process takes place in cyanobacteria as aquatic‐based photosynthetic microorganism. Phytonix’s full production process requires both an organism as well as the equipment to grow the organisms for the direct secretion of liquid n‐butanol into the culture media and a back‐end process for the separation of the butanol from the water‐based culture solution. Butanol is a valuable industrial chemical with a wholesale global market size of ten billion dollars. The International Conference on Synthetic Biology hosted by Meetings International was held in Paris, France this July for leaders within the Synthetic Biology field to gather and discuss the latest developments with upcoming technologies. Bruce Dannenberg, President and CEO of Phytonix, accepted an invitation and made a keynote presentation on the current and upcoming advancements in the technologies of Phytonix Corporation. To learn more about this conference click the link below. President and CEO of Phytonix Corporation, Bruce Dannenberg, accepted an invitation to chair and present at the CO2 Reuse Summit hosted by Cogiton Group this past May in Zurich, Switzerland. This conference is dedicated to building the industry of Carbon Dioxide Utilization in order to move towards a decarbonized future. Mr. Dannenberg made a presentation entitled “Biological Carbon Dioxide Utilization Technology for the Production of Low Cost Industrial Chemicals Utilizing Photosynthesis” in addition to chairing both days of the conference. To learn more about additional speakers and sponsors of this conference follow the link below. Phytonix’s technology integrates 21st century scientific ingenuity with the ancient and elegant process of photosynthesis. We believe that this combination holds great potential to provide for civilizations’ future industrial chemical needs while alleviating the stress on Earth’s environment for the betterment of all life that it supports.